Alexandria, La. (April 12, 2019)—The City of Alexandria stays prepared for weather events by continually flushing drains, clearing debris, keeping pumps in good working order and more. Intense rain, however, can still lead to flooding in low areas, according to Alexandria Utility Systems Director Michael Marcotte. Citizens can help, Marcotte said, by keeping their neighborhood drains clear when they can safely do so. That alone can help keep the water flowing out of the city instead of backing up on roadways. The National Weather Service is expecting widely scattered to scattered showers and thunderstorms today and tonight in our area. A few strong storms, capable of producing gusty winds and small hail, will be possible. In addition, occasional cloud to ground lightning strikes will be possible in some storms. 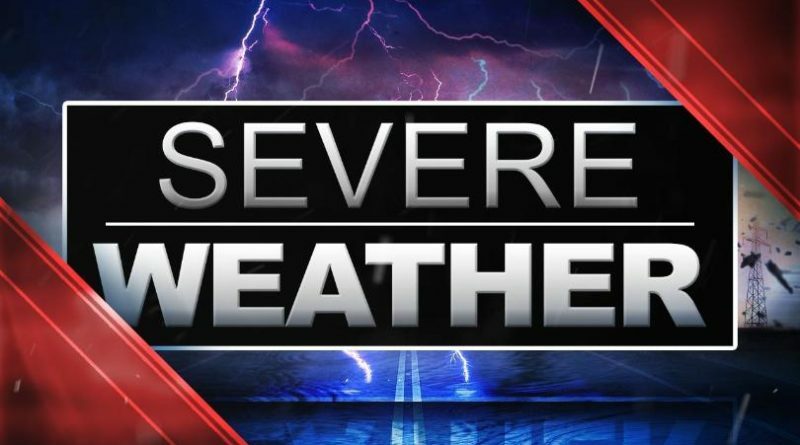 On Saturday, April 13, 2019, a significant severe weather event is shaping up with numerous to widespread thunderstorms expected to develop during the day. Some storms may reach severe limits with large hail, damaging winds and a few tornadoes possible, according to the National Weather Service. Heavy rainfall can also be expected, with high to intense rainfall rates possible in a few storms. This could lead to localized flooding, especially in low lying or poor drainage areas. There is a slight risk for excessive rainfall across portions of central Louisiana. Lastly, a wind advisory may be required for portions of southwest and central Louisiana during the day Saturday as southerly winds strengthen to around 20 mph. The City of Alexandria will continually monitor drains, canals, pumps, and all waterways. To keep abreast of the latest information from the city go to the Alexandria, Louisiana – Mayor’s Office facebook page at https://www.facebook.com/cityofalexandria/. If you have an emergency call 911. For power outages call 318-473-1301. If there is an obstruction blocking drainage or a concern about flooding call 318-449-6243.